The 2019 "Commit 2 Commerce" (C2C) Campaign is currently underway and continues through the close of business on Friday, April 12, 2019 (extended deadline). 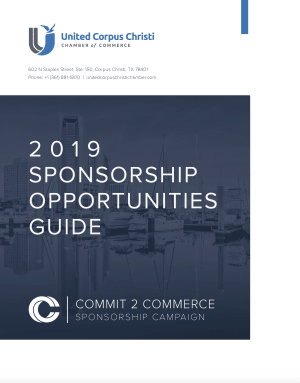 During the C2C Campaign, all chamber members are invited and encouraged to secure their event sponsorship and marketing opportunities for 2019. All currently scheduled events and programs are detailed in the 2019 Sponsorship Opportunities Guide (click for e-magazine version; click for .pdf). 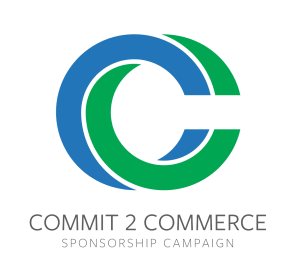 Perks of securing your sponsorship opportunities for 2019 during the "Commit 2 Commerce" Campaign include access to exclusive series sponsorship opportunities and cost-saving offers available for a limited time only during the campaign window. Sponsorship opportunities remaining after the conclusion of the campaign are subject to increase in price; the cost of sponsorships and tables for our signature event luncheons WILL increase (i.e. State of the County, Salute to the Port and Salute to the Military). After reviewing the available opportunities listed in the 2019 Sponsorship Opportunities Guide, click here to download and complete the sponsorship commitment form and checklist. "Commit 2 Commerce" (C2C) Campaign questions, comments or concerns? Contact us by email to c2c@unitedcorpuschristichamber.com. Click here for information on ALL available event sponsorship and marketing opportunities! Click here to download the sponsorship commitment form.